Having fun with the kids! 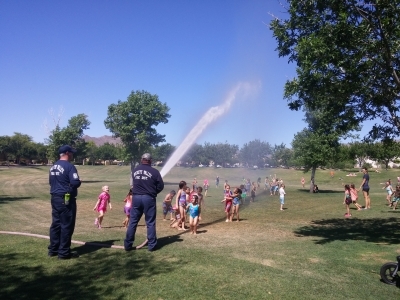 The Buckeye Valley Fire District is a combination full service Fire District located in the far west valley and a member Phoenix Regional Automatic Aid System since 2010. 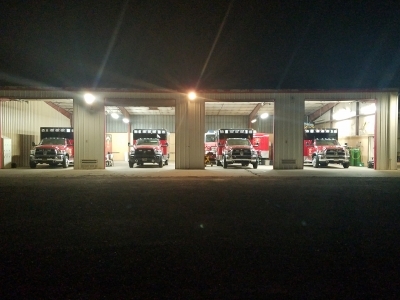 Staffed with a combination of career and reserve personnel, the Buckeye Valley Fire District responds to approximately 12,000 calls a year for service. The Buckeye Valley Fire District being a progressive fire and medical department now has a Medical Services division. 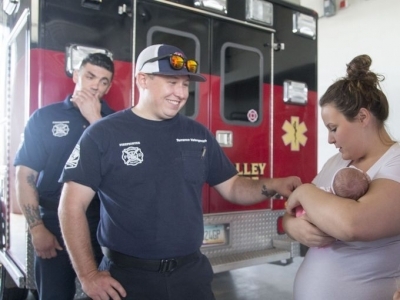 The Medical Services division of the Buckeye Valley Fire District is focused on providing world class emergency medical services to every person who calls for help. 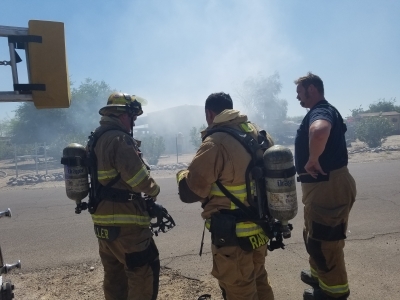 This division will work as a partner with our existing fire suppression EMT and paramedic personnel, however medical services personnel will not be involved in suppression activities. In addition to providing emergency care, the Medical Services Division oversees the EMS transportation for the City of Buckeye, Tonopah and Harquahala Valley as well as interfacility services for Abrazo Buckeye Medical Center. Our Fire District covers approximately 200 square miles and our ambulance certificate of necessity covers approximately 2,500 square miles. 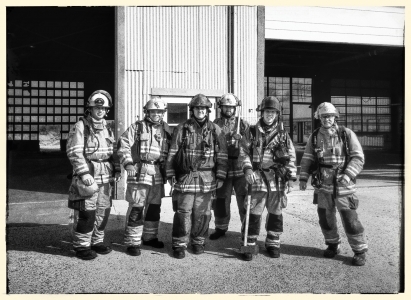 We Are the Buckeye Valley Fire District – We Are here for YOU. The Fire Board of the Buckeye Valley Fire District will meet on April 23, 2019 at 6:00 P.M for a regular session. For details click on April 23, 2019 on the below calendar. © 2012 - 2019 Buckeye Valley Fire District, all rights reserved.